Many photographers come to me struggling with their editing style and consistency. Whether you are a beginner or professional photographer, presets are not only time efficient but they can be the perfect finishing touch on your images to emulate a specific look. Twyla Volume 2 is our latest preset and we are so excited to be sharing it with you. Six color, two black and white presets PLUS 8 toolkit Lightroom & ACR presets to tweak your tones, contrast and grain. So, I finally decided to release the presets I use on my work. While these presets are designed to add new life to your images, I am most passionate about teaching you. Learn to create your own presets, how to identify what it is you love in an edit, and how to recreate it time and time again. Book your editing session by adding it to the cart. I will get in touch with you within 48 hours to pick a date that works best for you! 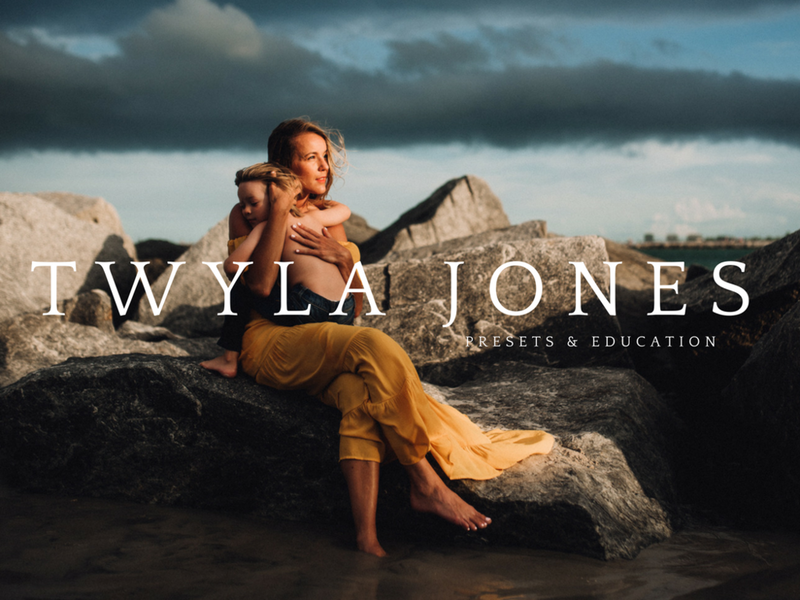 Twyla Jones is an emotive family and couples photographer and educator based in south Florida and is available for international travel. Known for her emotive, cinematic and creative style, she provides sessions for elopements, weddings, families, vow renewals, and boudoir as well as mentoring for other photographers.